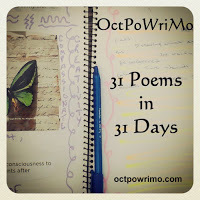 This is my first poem of OctPoWriMo 2014. The prompts are the words chrysalis, butterfly and transformation. Adding a dash of color. You are indeed a poet! Your enthusiasm is palpable and your word-love-play extraordinary. I look forward to knowing you more as the month continues. Wow. Thank you so much, Julie! Much appreciated!! wow... that was really uplifting... thanks! Nicely done! I'm so happy you found it uplifting. Thanks for coming by!! Beautiful. Especially these lines, and the last three too. Poetry... absolutely, it is poetry! Oh, Vinay Leo R. Thank you so much for the kind feedback!! You are a poet indeed. Thank you for linking up! I'm exciting to see what the month will bring from you. You are absolutely a poet. This is wow!